Perfectionism, defined as “as a combination of excessively high personal standards and overly critical self-evaluations”, is officially on the rise. Our growing perfectionistic tendencies have been identified as a leading driver of poor mental wellbeing in millennials. When we put too much pressure on ourselves, we’re essentially signaling to our brain that our demands outweigh our resources. Our brain can interpret this as a danger, and this risks triggering our stress response. When your stress response is activated on an ongoing basis, you may end up experiencing ongoing physical anxiety and feeling constantly overwhelmed. 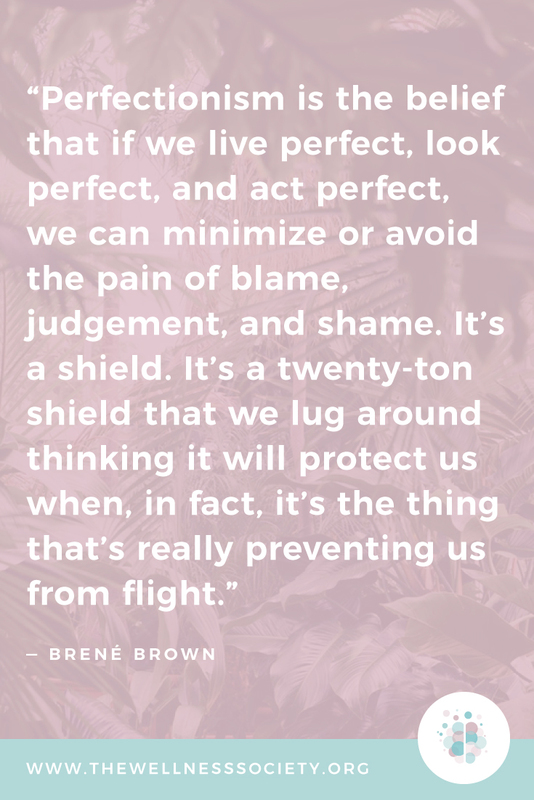 Brené Brown, author of The Gifts of Imperfection: Let Go of Who You Think You're Supposed to Be and Embrace Who You Are, offers us a compelling insight into understanding the causes of perfectionism. Many people who struggle with perfectionism have had difficult childhoods. They've been given the message that they lack inherent worth and that it has to be earned somehow. Perfectionism is therefore akin to a coping mechanism. It's our attempt to avoid feelings of shame and unworthiness. It runs deep! Nonetheless, over time, it's possible for us to reduce it. 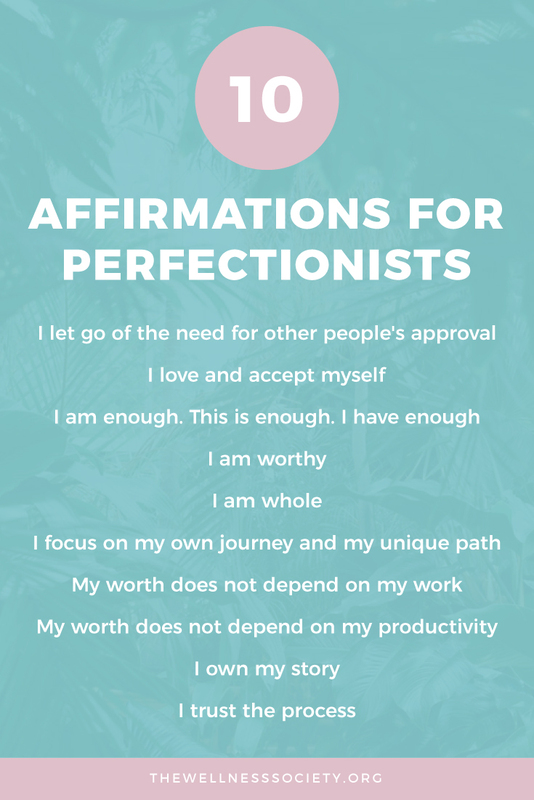 Here are three methods you can use to start overcoming perfectionism today. 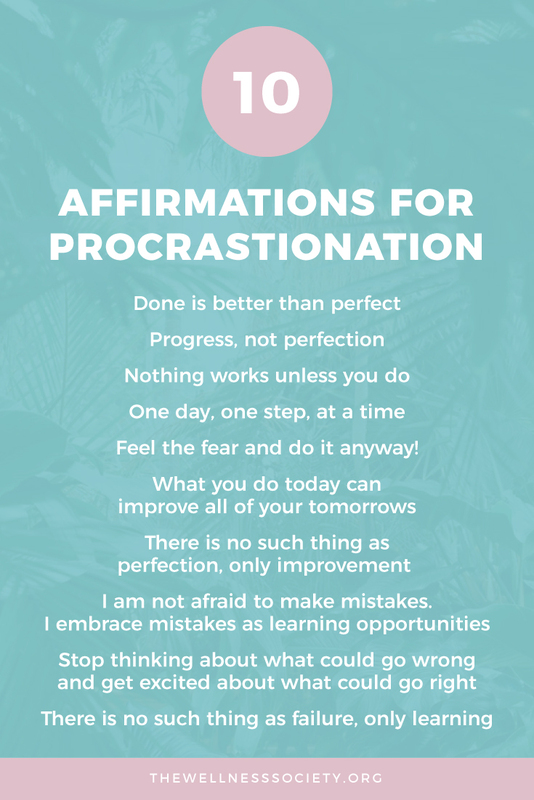 Anti-perfectionism affirmations are one of the many tools available for changing your mindset. For affirmations to be effective, it's important to choose one that holds genuine meaning for you. It's also important to develop a regular habit of using them. If you're looking for a science-based system to help you build habits that stick, check out our Habit Tracker and Planner. "Most people don't realize that the mind constantly chatters. And yet, that chatter winds up being the force that drives us much of the day in terms of what we do, what we react to, and how we feel." How do you approach your mind? Do you observe your mind's activity, or are you fused to it? Many people spend their lives fused to their thoughts. And here's the thing: you are not your thoughts. Mindfulness teaches you to become the observer of your mind. Once you've developed mindfulness, you'll become more aware of your cognitive distortions – the unhelpful thinking patterns that contribute to anxiety and low mood. A type of cognitive distortion related to perfectionism is should/must statements, which can be reframed using cognitive restructuring. For example, you might notice thoughts such as "I must impress everyone with my presentation," which can be reframed as "I'd prefer it if I could perform well, but it's not a disaster if I don't." Interested in learning plenty of techniques and practical exercises to help you take control of your mind and body? Check out our Mental Wellbeing Toolkit Planner. It's likely that perfectionism is preventing you from realising your full potential, given that perfectionism often leads to procrastination. Here are some quotes to help you overcome the tendency to procrastinate. Why not stick one of these up somewhere in your workspace? Our final tip for you comes from author Seth Godin, who believes that keeping track of every positive thing that happens is the key to success. Keeping track of positive events is particularly helpful for people prone to perfectionism due to their tendency to focus on perceived shortcomings. Think about it: How quick are you to move onto the next thing once you've achieved something? How often do you celebrate your progress and how far you've come? Or are you always chasing the next thing? The more often you celebrate your progress, the more worthy you'll feel, and the more inspired you'll be to take action. You can also review your progress when you're feeling low or doubting yourself to help yourself feel better (making it a great addition to your Mental Wellbeing Toolkit Planner! ).